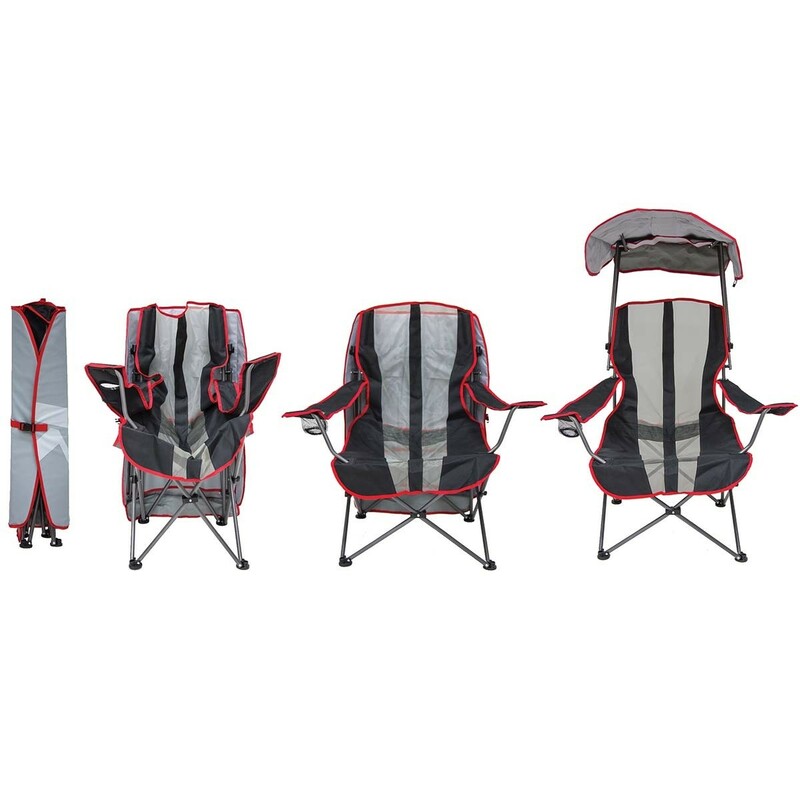 Supports adults up to 250 Lbs. 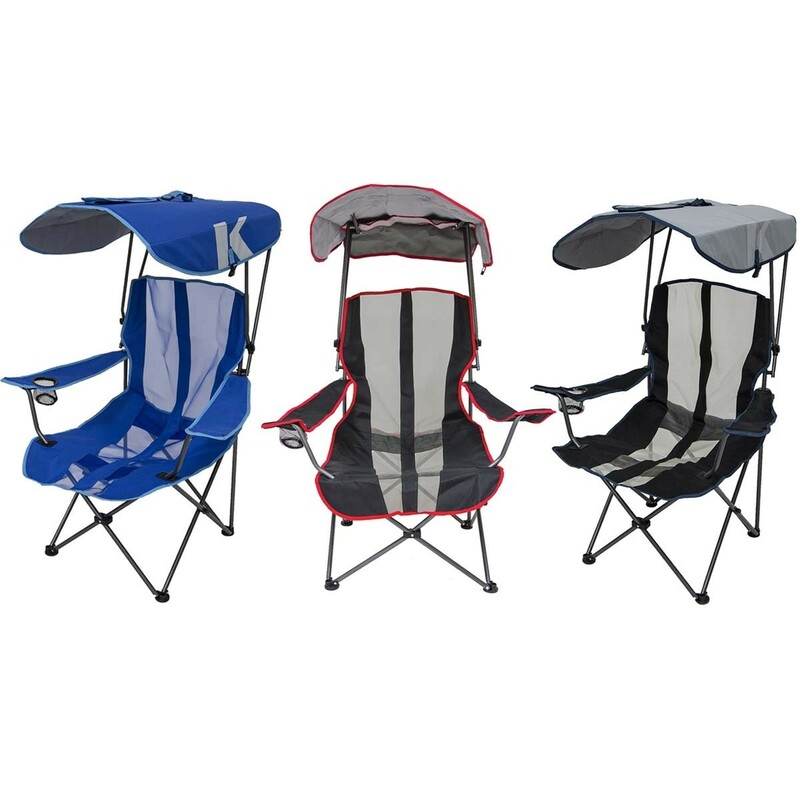 The Kelsyus Premium Canopy Chair is the perfect companion for camping trips, tailgating, watching sporting events from the sidelines, or just hanging out in the backyard. 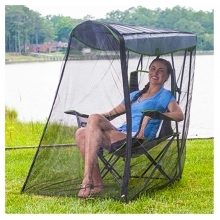 The patented sun canopy protects you from the elements with UV Protection (UPF 50+) and locks up or down for shade or sun. When you are ready to go, the canopy converts into a carry case with durable snap-lock buckle - no more bags to deal with! The shoulder strap offers hands-free portability. The over-sized seat with rounded front edge won't cut into the backs of your legs for extended comfort. The chair also features an integrated large cup holder with o-ring for stability. 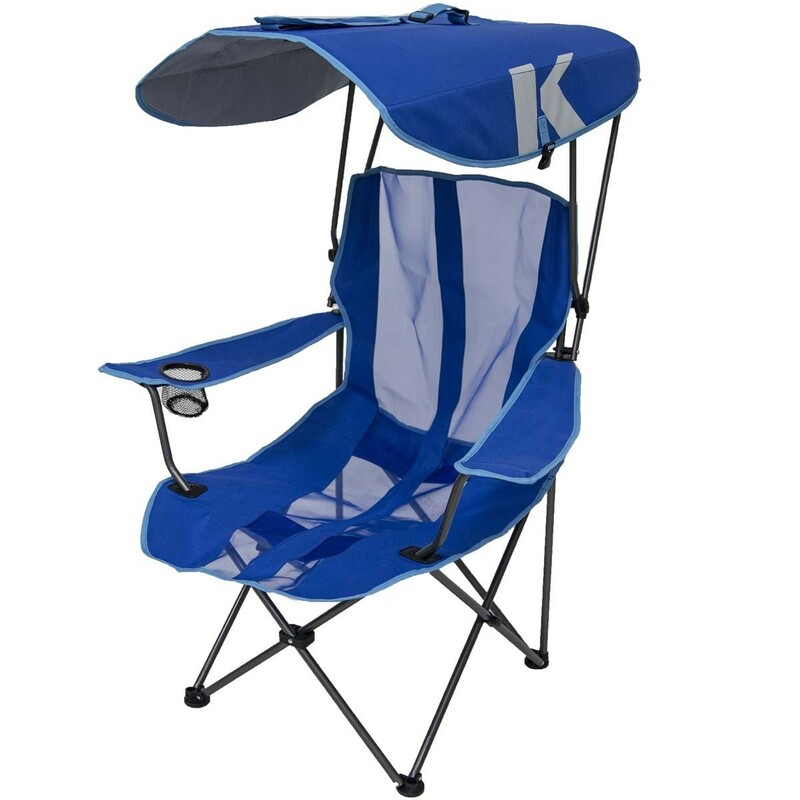 A sturdy powder coated steel frame supports adults up to 250 Lbs. The stylish, high-quality fabric and stitching performs great, and looks great.